The project involves an 8 storey office block in Ealing for conversion under permitted development rights. 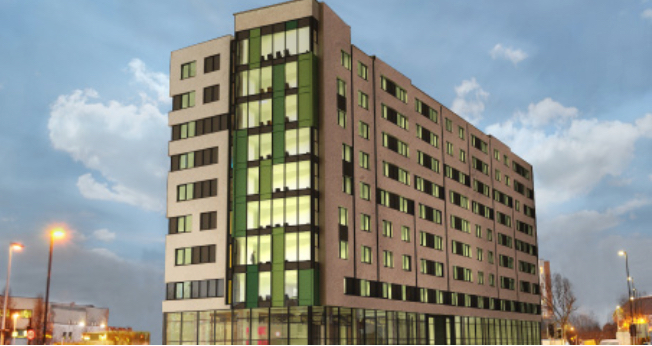 The new scheme will provide 353 apartments with addition of two new build floors. The M&E services include comfort-cooling and central mechanical ventilation with heat recovery. Lifestyle facilities are included in the scheme, such as a fully-equipped gym, sauna and steam room with an adjoining screening room as well as a communal terrace lounge. O’Shea are working as the design & build contractor and are developing the scheme in conjunction with Galliard Homes. 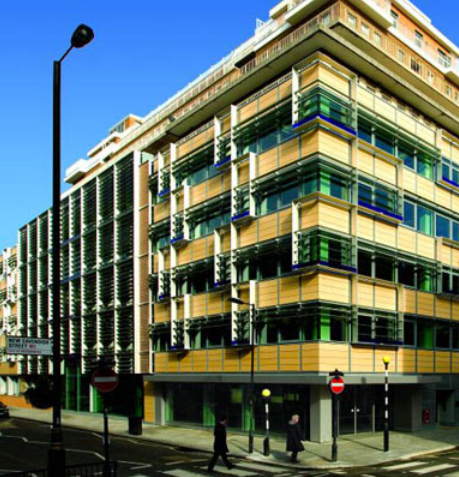 12,000 m2 fit out for the University of Westminster to provide administrative offices and seminar teaching spaces. The building services included flexible raised floor distribution, active chilled beams and VRF system. Robinson associates designed all services for the fit-out. This development consists of 99 self contained flats designed for extra care accommodation, associated communal areas such as dining, laundry, hairdresser, management offices and kitchens and includes four commercial units on the ground floor. The building services design features the provision of renewable energy from roof mounted photovoltaic panels and includes a micro combined heat and power unit. Robinson Associates carries out the full design of all mechanical and electrical building services. The new building is on the site of the old Gala Bingo Hall in Brighton, the project includes a large doctor’s surgery to Primary Care Trust (PCT) standards, pharmacy, offices, two commercial units and 35 Affordable Rent Units including 4 wheelchair accessible homes. Robinson Associates designed all the mechanical and electrical services including a low energy ground source heat pump system. Trinity Square is a permitted development scheme of an existing 1980’s office building redeveloped to provide 228 dwellings, providing much needed life into the central area of Hounslow. The dwelling’s services include comfort cooling and central MVHR system. Robinson Associates were involved from the concept design, through detailed design and completion covering all mechanical and electrical services. The building includes two atria and two basement levels for car parking and plant. The services were designed to avoid any penetrations through the existing external curtain walling system. Permitted development of the former Atria office building in close reach of Slough’s town centre. The development comprises 124 apartments from studio to two bedroom apartments and lofts. 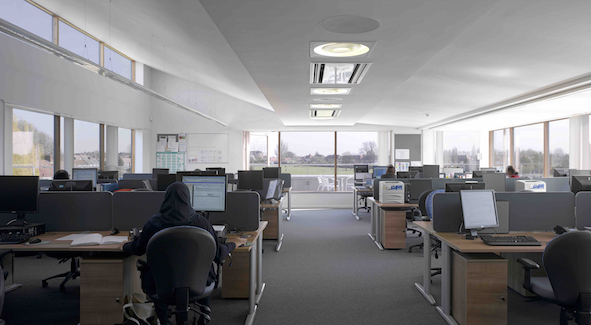 Robinson Associates designed all M&E services including comfort cooling and central ventilation systems. 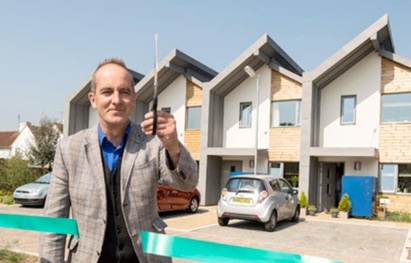 The 11 two and three-bedroom family homes, which are for social rent, are among the UK's first wave of authentically zero carbon properties where emissions are balanced purely by on-site measures. Stoneham Green was created on a derelict site and was the first development in Southampton to be zero carbon. Stoneham Green's significance was twice recognised with the Innovation Award for Building Technology at the Sunday Times British Homes Awards and the Green Energy Performance Award at the Sustainable Housing Awards. Robinson Associates carried out the full detailed design of all the mechanical and electrical services for a 600 m2 luxury house for Anish and Susanne Kapoor. The house occupies a long site which extends from the street deep into the backland. The project demanded the very highest quality for the lighting design and incorporation of heating, ventilation without compromising the spaces. The Bordon Eco House is an innovative zero carbon house, the first in the UK to include inter-seasonal heat storage. The system includes a 9m3 buried thermal store which is used to store solar energy during the warmer months for the heating during the winter. The house design also includes an innovative trombe wall incorporating nanogel and clay blocks for thermal storage, winter garden, rainwater harvesting and a thermo ground-air heat exchanger for preheating the air in winter and cooling the air in summer. A new primary care centre for Ealing Primary Care Trust. The healthcare centre runs many clinics for the management of sexual health and offers a wide variety of other medical services including antenatal and postnatal care, as well as minor surgery. Robinson Associates designed the M&E services for the extension and updating of the old Reading Crown Court to provide up to date lighting, security systems and new ventilation and cooling to the six courts and ancillary areas. A new primary care centre and library for Ealing Primary Care Trust. The building services design features the provision of 10% renewable energy from a biomass boiler system and passive night cooling. The healthcare centre runs many clinics for the management of chronic diseases such as asthma and diabetes and offer a wide variety of other medical services including antenatal and postnatal care, as well as minor surgery. 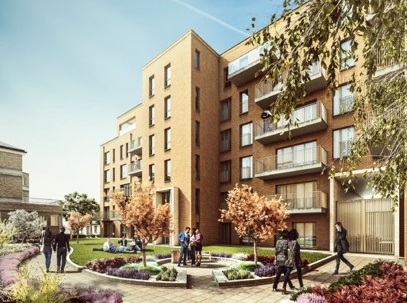 New Lidcote and Cumnor forms the second new-build development proposal within the Stockwell Park estate regeneration, providing 139 new homes, of which 48 are extra care apartments and six are family houses. A secure, landscaped garden is located in the centre of the scheme, above an underground car park, incorporating private gardens, communal space for apartments and a secure sensory garden for the extra care residents. The building services design features the provision of 20% renewable energy from a biomass boiler system and gas fired combined heat and power unit. The largest Passivhaus development in the UK, five hundred affordable homes for new and existing tenants in the London Borough of Camden that put energy performance and fuel poverty top of the agenda. Robinson Associates provided the detailed design for Phase 1A which has received Passivhaus certification on completion and are are now currently working on Phase 1B. The services design incorporates innovative measures to reduce the heat emission from the distribution systems. This is Robinson Associates third Passivhaus certified project to date. Hill are partnering with Hyde Housing Group to create 287 new homes in North West London. The joint venture together has transformed three parcels of land on the Stonebridge Estate in Brent, as the final part of a larger estate regeneration project. There is a mix of private and affordable properties, and all homes have access to their own courtyards. These homes also have easy access to Harlesden Rail and Underground Station, which is just a short walk away. The dwellings are served from a low energy communal energy system with heat interface units and conventional radiator heating. This new purpose built library resource centre (LRC) and six classrooms supports a wide range of teaching, learning and study models. As well as quiet areas, there are also areas for discussion, group study and social interaction. The building services design includes an energy efficient ground source heat pump and a hybrid high efficiency heat recovery ventilation system that works together with a natural ventilation design. The St Clements project in Bow East London comprises of the major redevelopment and refurbishment of the old historic hospital site buildings and together with new flats to provide a total of 240 dwellings. The existing grade two listed parts of the site are refurbished to provide high end residential flats together with new buildings. The scheme includes new elegant squares and open spaces, with retail and commercial spaces. Robinson Associates were appointed at the pre-planing stage and continued through detailed design of the scheme. The services design included the site infrastructure design, the energy centre and district heating network design as well as the services within the flats.